After almost a decade of waiting, the John S. Turner U.S. Army Reserve Center on High Street still has not been transferred to the town. FAIRFIELD — Starting in 2006, there were some intense meetings in town as the community debated what to do with the John S. Turner U.S. Army Reserve Center on High Street. As part of a plan that closed bases across the country, the High Street armory was being shuttered and its occupants moved to a new location outside Hartford. When that happened, the town could get the property at no cost, provided it was used for a community purpose. He said not knowing when, or if, the town would eventually get title to the property, keeping the proposed use as simply recreational made more sense, though the resolution approved by the Board of Selectmen in 2008 included an indoor basketball gym. A five-year plan issued in 2010 by then-First Selectman Kenneth Flatto included $250,000 for renovations at the site. Bremer may have been right. Despite the federal Department of the Interior’s approval of the recreational use in 2008, the property, near Gould Manor Park, has yet to be transferred to the town. 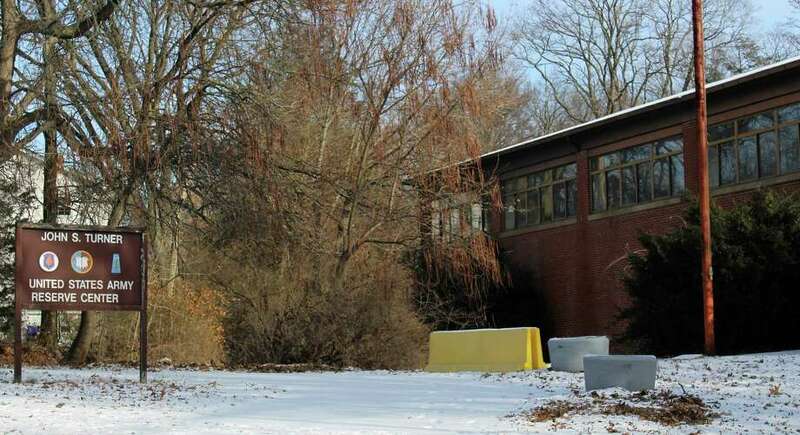 First Selectman Mike Tetreau said there’s been no recent communication from the federal government, and he’s not sure that it actually is vacant, although it appears to be. He said they had heard that the government was planning to do some environmental testing at the property. The 5.11-acre site includes two buildings, nearly two acres of paved parking, and an acre of woods.